A long time ago, I visited Prague during my first backpacking trip to Europe. I had a great time, but during my second swing through the Czech Republic last Fall, I wanted to go somewhere new. Once again, readers came through on Facebook, suggesting I visit Brno, the capital of the Moravia region and the country's second largest city, on my way from Dresden to Vienna. Knowing nothing of Brno, I arrived to find a compact, and endearing old town, with lots of interesting historic sites. Brno was founded over 1,000 years ago. In one full day of sightseeing, I managed to cover my list of the top 10 things to do in Brno. If you have the time, I recommend spreading them out over at least two days. Tourist information is easy to come by, and chances are your Brno hostel or hotel will be able to provide you with a free map. Planning to travel all over Europe? Click here for cheap train/rail passes! The first building of interest I came across when I set out to explore Brno is the Old Town Hall. 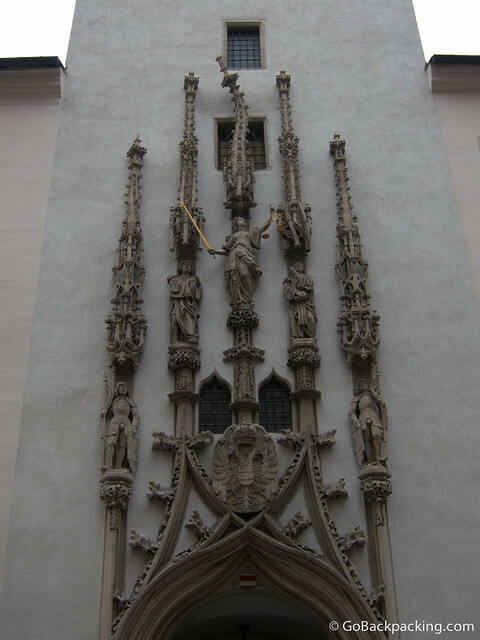 It's the oldest secular building in Brno, and features an ornate Gothic Gate. What makes the sculpture interesting is the central tower, which appears lopsided. According to legend, this wasn't a design fault, but rather a mason exacting his revenge on a city council which failed to pay him for his work. A half block from the Old Town Hall is the city's Cabbage Market. Every morning, it fills with vendors setting up their stalls to sell an array of fresh vegetables and flowers. If you like perusing food markets, this is a good one, though it's not very large. In the center of the square stands a 318-year old fountain, depicting scenes from Greek mythology. 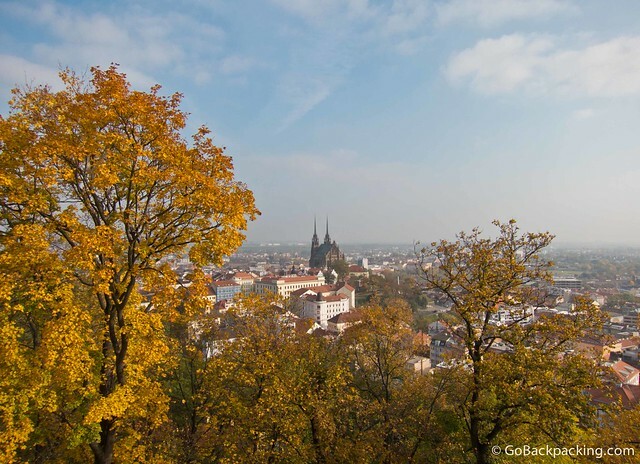 Walk through the Cabbage Market, and up Petrov hill to reach the Cathedral of St. Peter and Paul, which dominates the Brno skyline with its matching spires. Entrance to the cathedral is free, but you'll have to pay 35 Korunas ($1.75) to visit the towers and crypt. The cathedral doesn't open until 11 AM (or 11:45 AM on Sundays), so it's best to visit a few of the other sites first. On the opposite end of the Cabbage Market from the cathedral is the Capuchin Church and Monastery. 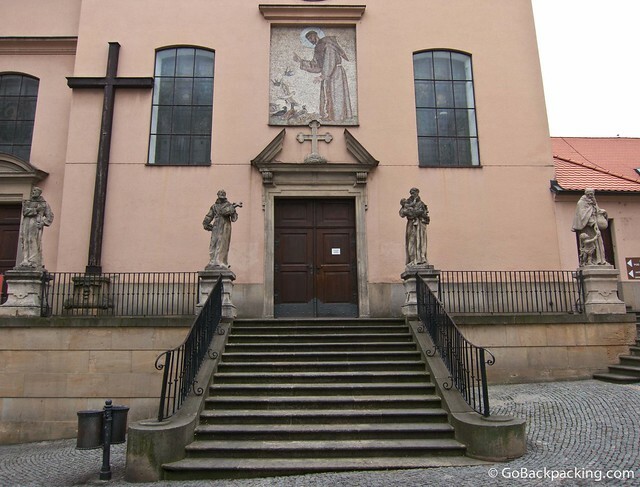 The side of the church is adorned with Baroque statues, but the cool part about the building lies below ground. Due to the unique soil composition, and system of air holes incorporated into the Capuchin Crypt, the bodies of the monks laid to rest there have been amazingly well-preserved. Yes, the Capuchin Crypt is filled with dozens and dozens of mummies, and it's open to the public at a cost of 60 Korunas ($3) per person. 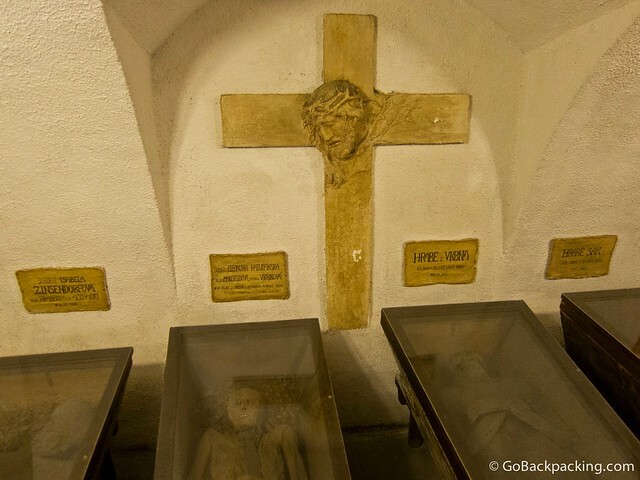 Walking through the creepy, yet sterile, crypt was far and away my favorite experience in Brno. Located in Freedom Square, and built at a cost of 12 million Koruna ($600,000), this giant phallic-shaped, granite clock is an odd sight for both locals and tourists alike. 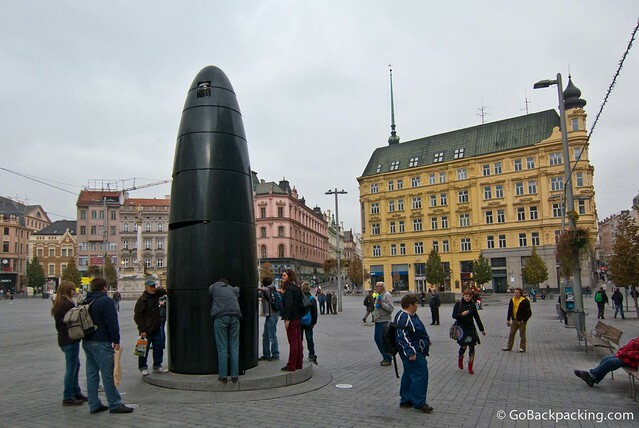 Symbolizing a bullet, it's a reference to the 1645 Battle of Brno. If the Swedish didn't capture the city by 12 Noon, they planned to retreat. To trick them, Brno sounded their bells at 11 AM, an hour early. Every day at 11 AM, a glass ball descends from the top of the clock to the bottom. Tourists and residents alike can be seen sticking their arms in various holes, hoping to be the lucky one to catch the glass ball that day. 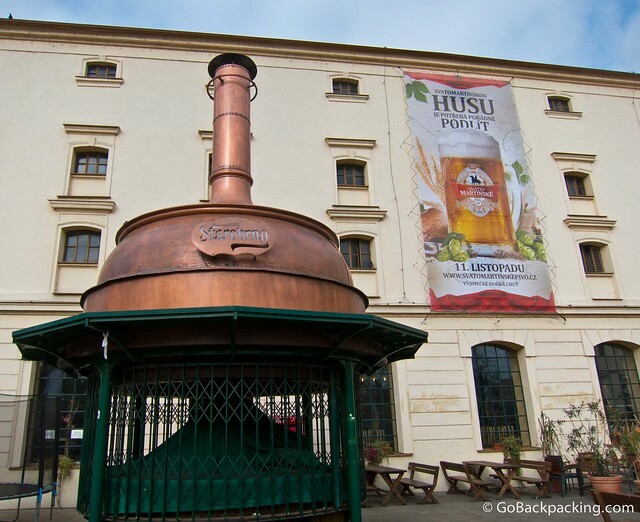 You can't visit the Czech Republic, birthplace of beer, and not take the time to enjoy a glass. Starobrno is the traditional city beer, and the brewery, while a bit of a walk from the city center, is a worthy destination. I didn't have time to check if Starobrno offered brewery tours, nor was I interested to go on one. They're always the same. I did however have to eat some lunch, and the Pivovarska restaurant was right there, sharing the same building with the brewery. The weather was chilly, and the beer garden was all but deserted, but inside there was a cavernous, 3-level restaurant. I quickly found myself seated amongst a cloud of second-hand smoke, and retreated to an area void of others. 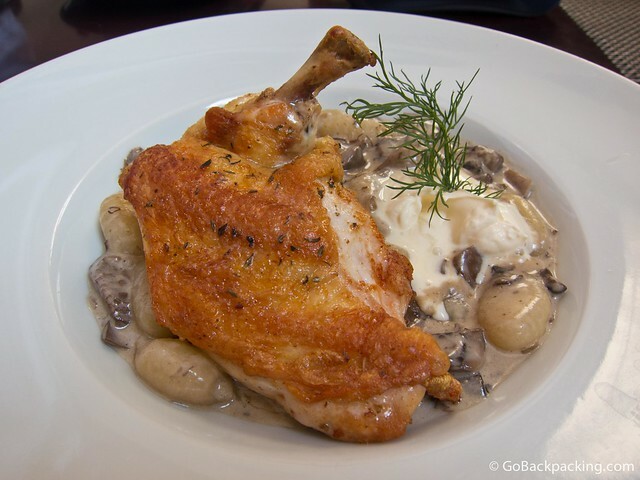 There, I ordered a succulent chicken breast, served on a bed of potato dumplings, covered in mushroom ragout and cream. It was a decadent dish. The dumplings were soft and fluffy. I need to eat more dumplings. 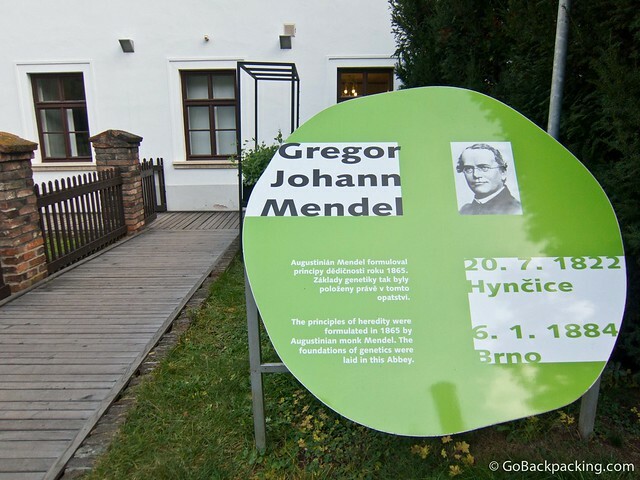 The Mendel Museum of Genetics showcases a permanent exhibit in honor of Gregor Johann Mendel, an Augustinian monk who developed the principles of heredity in 1865. It's a small museum, and honestly, unless you're a genetics buff, I'd save the 60 Korunas ($3) admission fee. Constructed in the mid-13th century, Spilberk Castle has a long history of being used both as a military fortress, as well as a prison. 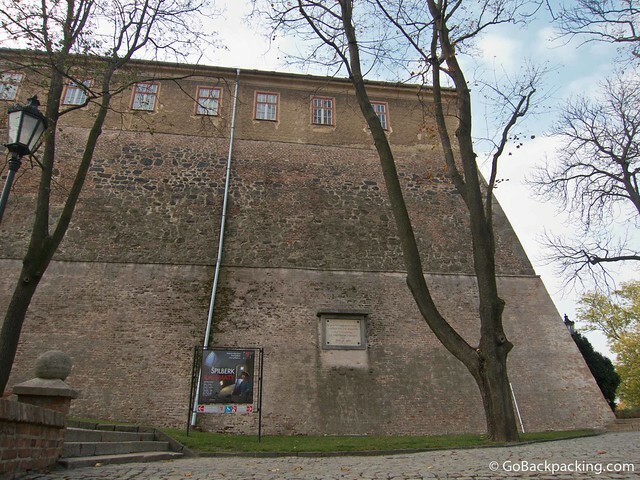 Today, it houses the Brno City Museum, and also features several permanent exhibitions related to the castle's history. One of the upsides of traveling around Europe in the Fall are the added colors the leaves give city views, like the ones you have from the walls and parks surrounding Spilberk Castle. For me, it was these views that made the walk up the hill worth the effort. Last, but not least, is Villa Tugendhat. 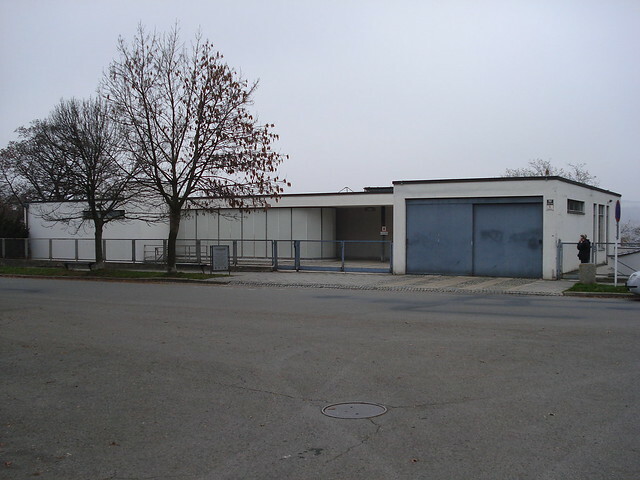 This building was designed by legendary German architect Mies van der Rohe in 1930. In recognition of its design, exemplifying the Bauhaus style, it is listed as a UNESCO World Heritage Site. I wanted to visit, but due to its popularity, and the limited number of English tours given each day, reservations need to be made well in advance. At least this can be done easily through their online ticketing system. 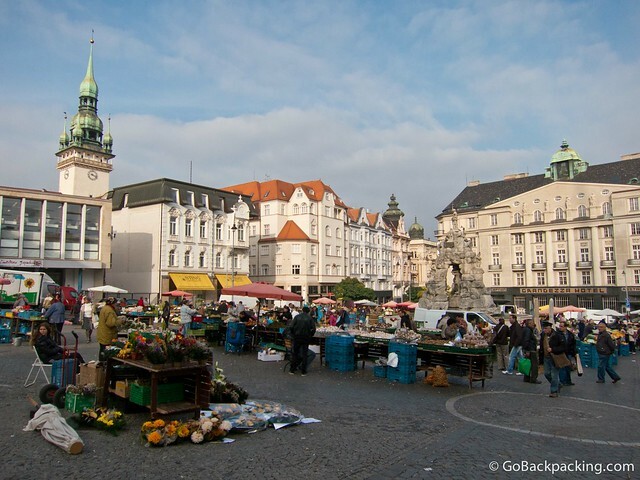 Brno has a lot to offer, for both tourists and expats. For info on current events, as well as the chance to buy an eguide, written by a local journalist, check out Brnonow. My travel to/from Brno by train was made possibly by a Global Eurail Pass, courtesy of Eurail.com. Czech Republic is one of the most beautiful places I have visited. Went around three years ago and one of the best travel destinations ever. I recommend it too for first time travelers. This is a good list of things to do in Brno. We’re moving close to the Czecyh border, so I’m sure I’ll be there very soon. Ossuary underneath the Church of St. James (especially if you enjoyed the creepy mummies:) Nobody knew about this ossuary until 2011! Labyrinth underneath Zelný trh (Vegetable Market) – it is not a long tour, but great! Brno is often in the shadow of other Czech cities where you can find UNESCO sites, but it certainly have a lot to offer. One just have to be prepared that it is quite big and also industrial city. 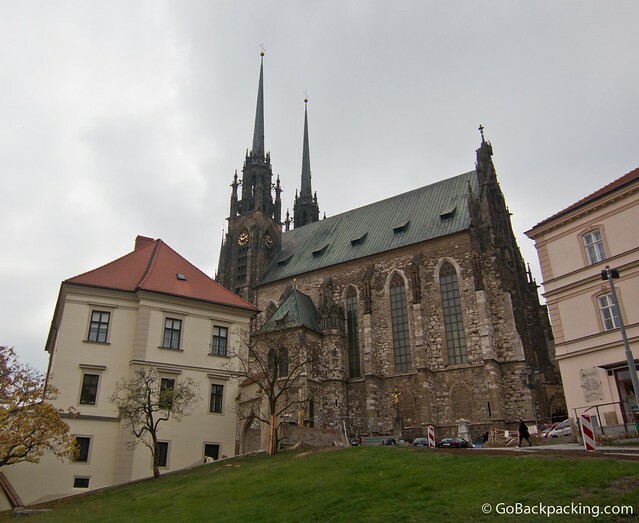 Let us know if you are planning to go the Czech Republic!